Say it on your ring - forever! 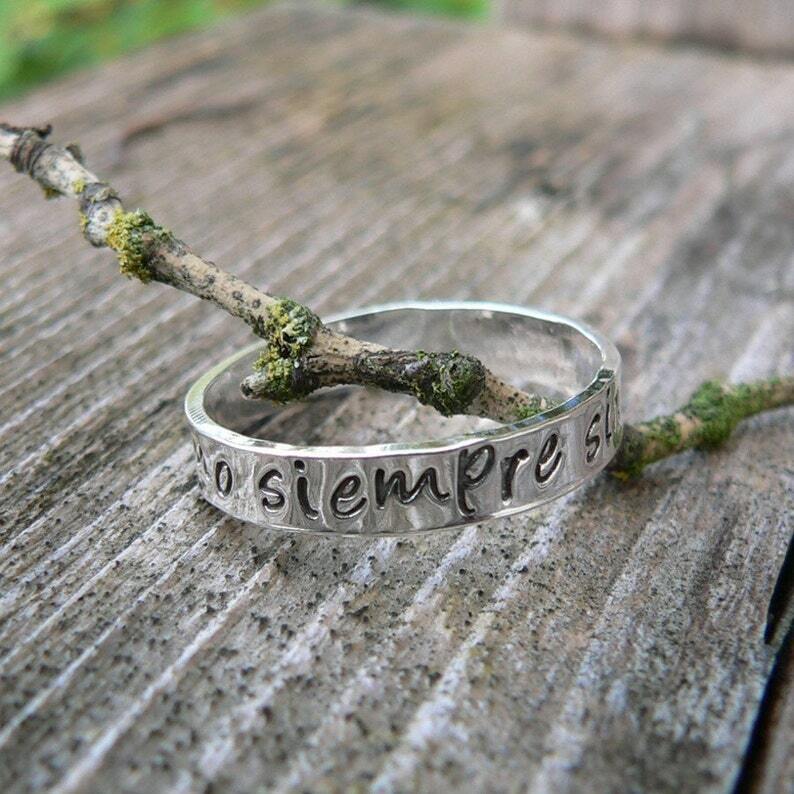 This custom made-to-order sterling ring or band is a great gift - for yourself or someone else. Makes a great Mother's ring, or just for fun. I personally use one as my wedding band! This is available in sizes 4-15. It is approximately 4mm wide by 1.5mm thick. It is available in MOST of our fonts. I purchased this ring for my girlfriend as a little token of my love for her and as a sort of promise ring and we both absolutely love it! it's so simple, dainty, and cute. i had a special word engraved on the inside that means a lot to us and it is truly beautiful. i definitely recommend this ring it's lovely! !